The Guadalupe bass (Micropterus treculii) is a smaller, distinct species of bass found in the Edwards Plateau Region of Central Texas and its related drainages. Not only is it the official state fish of Texas, but it’s also just right for tenkara angling. If you have the opportunity to visit the Lone Star State, I’d encourage you to bring along your favorite pole and flies and seek out this pugnacious little fighter. Back in the 1970’s the Texas Parks & Wildlife Department began stocking smallmouth bass in Central Texas rivers, with the unintended consequence that they hybridized with the native Guadalupe bass. When this dilution of the gene pool became apparent, the TPWD worked hard to reverse the problem and began re-establishing and encouraging the remaining pure populations of Guadalupe bass. From what I can see, these efforts are succeeding, and I now regularly catch what appear to be pure strain fish in the Lost Maples Natural Area, the Pedernales River, the South Llano River, the Blanco River, and, most often, the Guadalupe River. Guadalupe bass are fairly easy to identify. They have broken, dark, diamond-shaped markings on their sides, and distinct horizontal rows of dots on their belly. The above photo shows you the classic markings. Also, as I mentioned, most Guadalupe bass are small. The state record is less than 4 pounds, and most of them are in the 8-10 inch category. What they lack in size, however, they make up for in attitude. They eagerly strike small nymphs and streamers, and—once hooked—they make slashing runs and nice jumps. They have lots of endurance for a smaller game fish. I always encourage anglers to release all Guadalupe bass. In fact, in the Lost Maples State Natural Area, all of the bass fishing is strictly catch-and-release. Take photos but leave the fish. Guadalupe bass eagerly take Utah Killer Bugs and other small nymphs, plus they also love Mummy worms if you want to keiryu fish. Live crickets are another favorite. On a light tenkara rod, say a Nissin Fine Mode or something like that, the Guadalupe bass offers great sport and a scrapper’s attitude. Anything over a pound is a large one, but all of them are beautiful. They’re a unique fish, in a unique environment—the Texas Hill Country. Here in Alabama we have the redeye bass in a couple different genetic/regional strains. Very similar. When I get back to TX I would love to chase some Guadalupe bass. 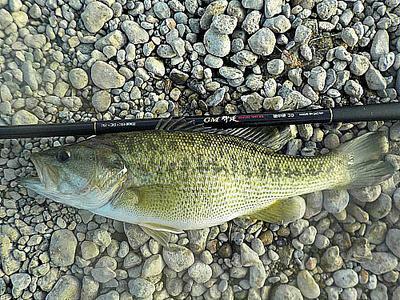 Redeyes are a ton of fun on lighter rods like an Air Stage 290. I've had great success with wooly buggers. This spring/summer I intend to take my Seiryu-X 35 after them with killer buggers and "keeper kebari" which have both worked for numerous other fish here in Alabama. Thanks, John, for an excellent article. I've heard about that area of Texas but had no idea how nice it is. The pictures alone make me want to visit someday, and you describe it very well. Nothing like small stream fishing! How is the public access (besides natural areas, parks, etc.)? Accomidations? Food? Awesome post!!! Great looking fish!!! Thanks for the comments, fellows. 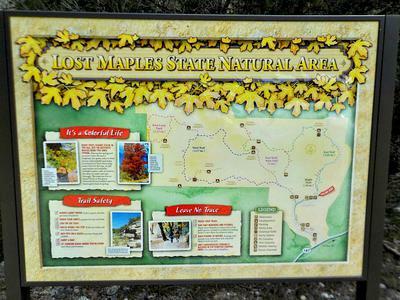 Herb, regarding your questions, Lost Maples is near Vanderpool, Leakey, and Medina, TX. There are more bed-and-breakfast type places in the area instead of the standard motels. Lost Maples has a very nice campground, but it's relatively small, and you need to make reservations through the main Texas, Parks & Wildlife website if you plan to stay overnight. You don't need a Texas fishing license to fish in the Natural Area. Your entry permit ($6 for the day) is all you need. The staff is very friendly at Lost Maples, and the Rangers are even fly fishermen (not tenkara). They're very helpful and supportive. The park can become crowded on some weekends and especially in November with the fall color. During the week, the park may only have a few visitors. The streams, creeks, and ponds receive only light fishing pressure, and the area is nice for hiking. Gas and groceries are available locally, but the Natural Area itself is secluded. There is a good chance I am going to be in Austin Texas the end of June for work. I normally have one whole day that I don't have to go to meetings and can "do my own thing!" I just looked it up and it isn't all that far to the Natural area (western standards for distance). Is almost July too hot to give it a try? That is a beautiful bass. I am also competing in a species contest with my spin fishing friend from work, and I am really planning on beating him. Only fixed line fish count for me. Only spin fishing fish count for him. The one that loses has to buy the alternate outfit! Yes, Austin is not that far--maybe two hours or so. Lost Maples is a "micro environment" that is more shaded and cooler than much of the surrounding country. 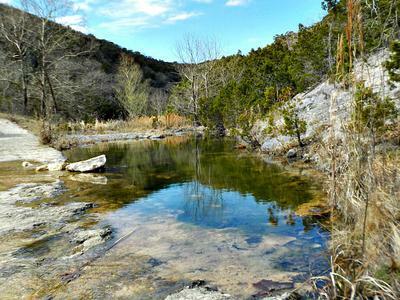 In fact, that's how the area became known as "Lost Maples." Big Tooth Maples will not grow in most of Texas because it's just too hot. "Lost Maples" is an exception because of the shaded, sheltered environment. That's a long way of saying that it's a great place to fish in July! Here's the key: Most folks fish the two main ponds. However, for tenkara fishing, all of the low-water crossings and minor streams are even better. It depends a little on the rainfall. So, any of the stream crossings or hiking trails along the streams are just made for our kind of angling--with lots of sunfish and Guadalupe bass in them! Grew up in the Texas Hill Country catching Guad bass. I love everyone's comments. I grew up in San Antonio and fished the Hill Country for a good part of my life. I loved those Guads and their spirited strikes on flies and tiny spinning lures. It was always a bonus to hook up with these great fish. John, did you happen to attend MacArthur High in San Antonio? I am a San Antonio native, but a different high school--Holmes. Of course, John Evans is a common name. Yes, Guadalupe bass are loads of fun.